Do you know the full impact of smoking on your health? We all must have heard countless times that smoking is bad for the health. We also know that smoking is even more harmful to passive smokers (that’s people who don’t smoke but stay around people who do and inhale smoke). 1. It increases the risk of stress. 2. 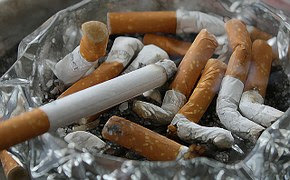 It causes damage to lungs due to inhalation of smoke. 3. It may lead to chronic cough due to trapped toxins in lungs. 4. It increases the chances of getting lung cancer. 5. It weakens the sense of smell and taste. 6. It may leave one prone to oral problems like gum inflammation, bad breath or infection. 7. It increases the risk of cataract, poor eyesight, and macular degeneration. 8. It leads to anxiousness, depression, and irritation. 9. It may cause sleeping problems and headaches. 10. It promotes the vulnerability to respiratory infections like cold and flu, etc. 11. It increases the risk of heart attacks, blood cancer (leukaemia), and recurrent coronary heart diseases. 12. It may lead to skin discoloration, premature ageing, and wrinkles. 13. It promotes the risk of developing chronic obstructive pulmonary diseases (COPD). With the above health impacts of smoking, it is very clear that smoking of any substance is one of the most harmful ways to destroy our health. Quit smoking today and stay healthy!